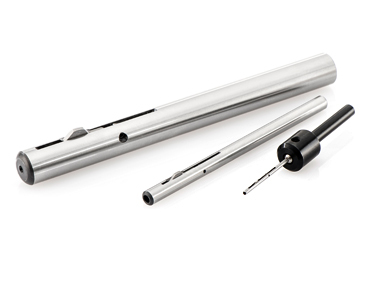 Drill holes have to be deburred in countless different fields of application and sectors of industry. Here, precision, a high deburring quality and economy are paramount. 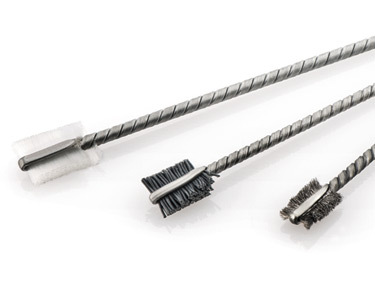 HK - KOTI pipe brushes can be used to neatly and efficiently remove the edges, chamfers and splinters created during the machining or manufacturing process. 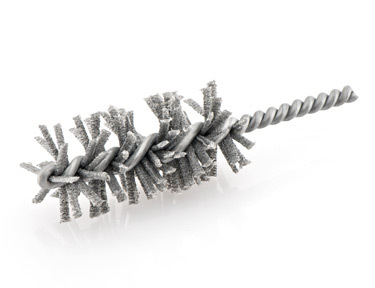 Twisted-in wire brushes – whether cylindrical, conical, stepped or wing-shaped – are available in a wide range of designs in line with your preferences and your requirements. 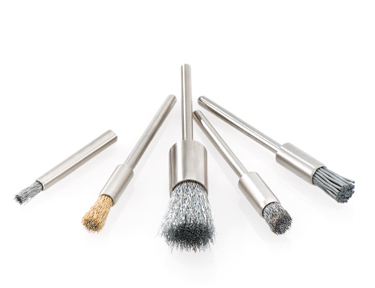 Flexible brushes can be used for the highly efficient machining of drill holes in steel, grey cast iron, aluminium and all customarily used non-ferrous metals. 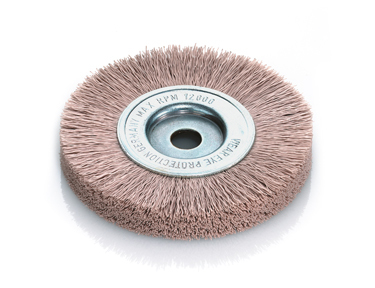 Special diamond brushes are used for the reliable removal of thick, tough burr formation. 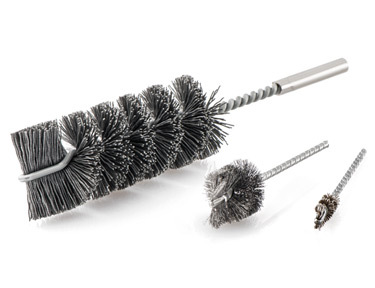 These compact but inherently flexible brushes permit optimum adjustment to boreholes. 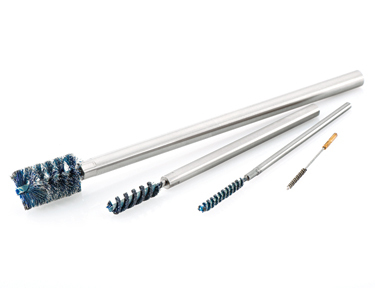 However, HK - KOTI Flex brushes are capable of effortlessly machining not only cylindrical but also conical or oval boreholes. 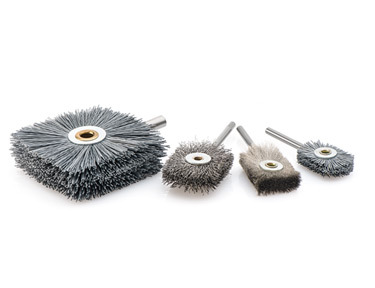 These brushes are also used to chamfer edges. 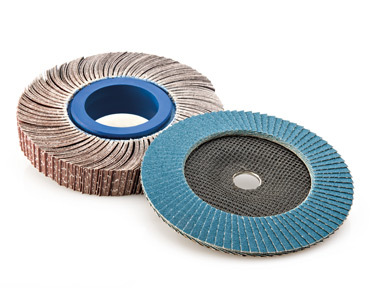 The flexible contact pressure avoids cut, torn or folded metal. 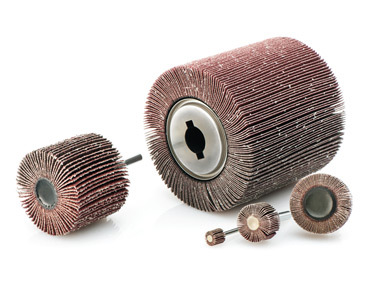 HK - KOTI Flex brushes are offered from a bore diameter of 4-118 mm with the following grain sizes: K.120-K.600. 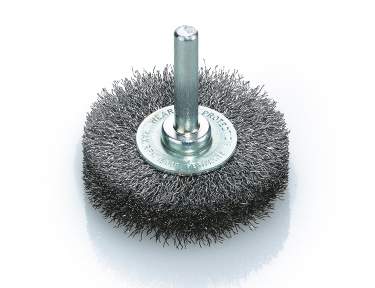 These brushes enable efficient and economical bushing of the blind hole base, while simultaneously processing the flanks. This makes for significant time savings. Simply let us know your requirements. 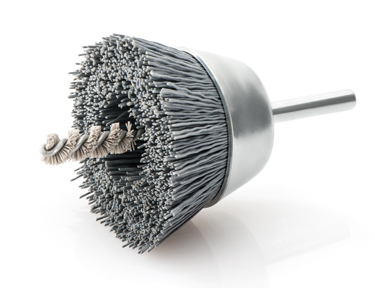 Diamond pipe brushes are steel wire brushes, with electrodeposited diamond grit, which will tackle any type of drill hole. 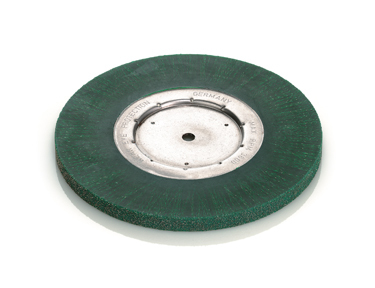 Also suitable for hardened materials. 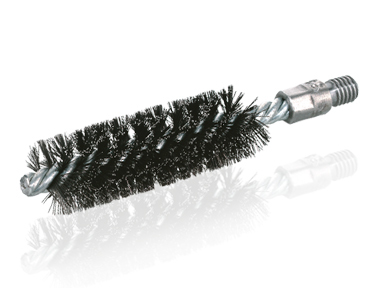 End brushes are used wherever work is being undertaken with electrical or compressed air tools. 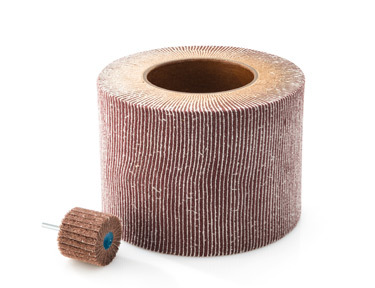 They are indispensable in the production of vehicle bodies, vehicles and engines. 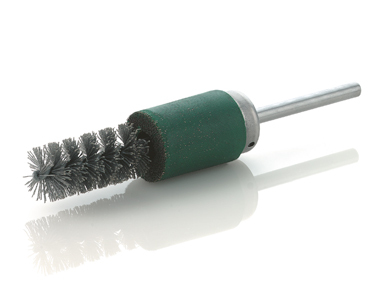 Rubberised end brushes are the aggressive alternative. They are distinguished by their ability to retain their shape and their outstanding surface stripping capacity. The appropriate Shore hardness can be chosen to suit the intended application. 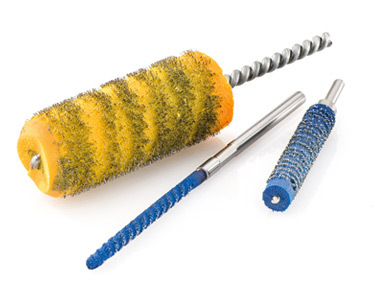 These simply structured electro-deposited deburring tools configured specifically for the purpose are available with or without an elastic extension. 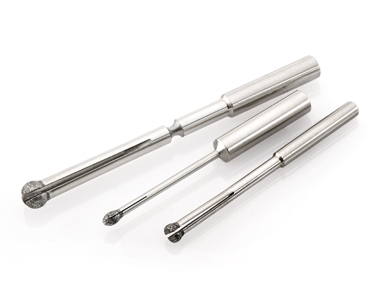 Diamond and Borazon deburring tools have a diameter of 1.5-12 mm and are available in spherical and cylindrical form with a longitudinal slot. 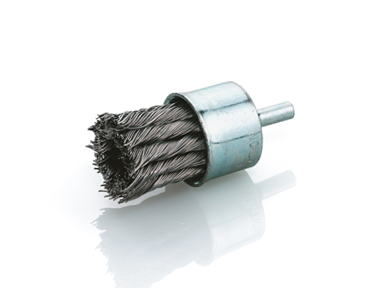 They can be used for instance in vertical drilling machines or in machining centres in series production. 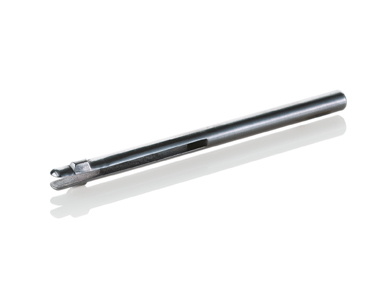 This type of deburring tool is used on particularly hard parts. 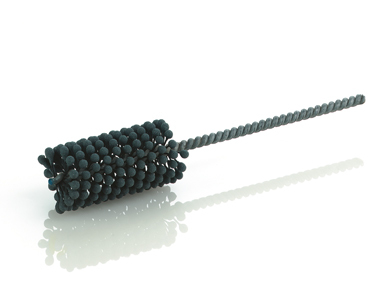 Diamond ball-type deburring tools are particularly suitable for tough, hard materials and for use in areas which are difficult to get at, such as drill hole intersections. Ball diameters of e.g. 1.8 mm - 12 mm are possible. 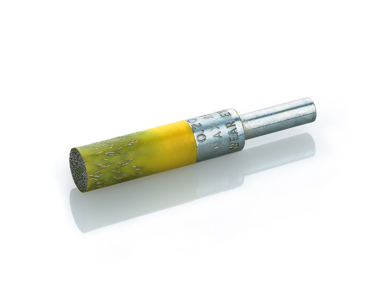 Special purpose diamond tools can be supplied to order.